It was bus-i-ness as usual this morning for a local school employee. 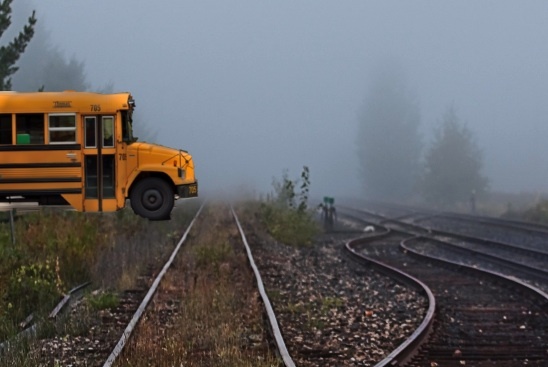 Despite a two-hour school delay because of a fog alert, longtime Bass Lake school bus driver Ralph “Blue Bird” Carpenter adhered to his regular pick-up schedule early today. Carpenter made all the required stops at rural Bass Lake homes containing students. No children boarded during that time. When he, 57, completed his route, he returned the vehicle to its proper parking stall at the district’s bus garage. Craig “Wrench Chef” Gregory, vice supervisor of transportation management and motor maintenance at Bass Lake schools, refused to elaborate about the situation. Educational administrators could not be reached for comment, because they’re never available. Update: As a makeup-plan, the school day will be extended by two hours on Jan. 12, 2016, pending a winter weather advisory.